Capt. Littauer was arguably the most outstanding proponent of Forward Riding in America. 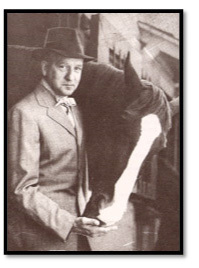 Former Director of the Sweet Briar College Riding Program and Professor Emeritus and author, Paul Cronin, called Littauer “the most influential author and instructor in America in this century.” Long–time Chronicle of the Horse contributor, George Morris, cites Littauer, in his list of “the greatest American authors” on riding. His advice continues to be pertinent in the twenty-first century for riders, teachers, and trainers.